MYEFO: Key points about the state of the Australian budget. Explain to me: Is the state of the budget really that bad? Treasurer Joe Hockey plans on slashing foreigh aid. The Federal Government announced today that the expected 2014-105 budget deficiet would rise to $40.4 billion. A sum much larger than Tresurer Hockey’s initial prediction of $29.8 billion in May. Treasurer Joe Hockey will slash foreign aid and reveal a massive blowout in this year’s deficit when he hands down his mid-year budget update today. The ABC’s AM program understands the aid budget will be reduced to Howard-era levels and more than $3 billion will be cut over the next four years. The cuts in today’s Mid-Year Economic and Fiscal Outlook (MYEFO) come on top of a $7.6 billion cut to the aid budget in May. Some of the money will be redirected to fund new spending decisions, such as a $630 million boost to national security and the deployment of troops to the Middle East. This year’s budget deficit, which was forecast to be $29.8 billion in May, is now set to exceed $40 billion as “global headwinds” continue to batter the Australian economy. “We remain on a believable and responsible path to surplus, but we will get there slightly less quickly than we would have liked,” Finance Minister Mathias Cormann said. 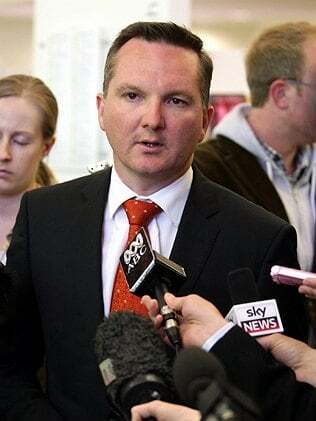 Shadow Treasurer Chris Bowen has criticised the cut to foreign aid. “They just treat our foreign aid, our overseas development, as their ATM,” he told Radio National. Senator Cormann told AM Senate compromises and delays, as well as falling commodity prices, would hit the budget hard over the next four years. “There’s been a significant drop in revenue on the back of a sharp fall in terms of trade and also on the back of wages growth being lower than expected,” Senator Cormann said. “We are not going to chase down the fall in revenue. “There’s been a decision to participate in efforts in Iraq … and then finally there’s been some decisions in the Senate where there have been either delays or outcomes of various negotiated arrangements where there was a cost to the budget from that as well,” he said. But Labor argued that any measures held up in the Senate are still on the budget books and therefore cannot be counted towards the ballooning deficit figure. Government sources said the MYEFO contains the steepest fall in the nation’s terms of trade in more than 50 years. Any hope coalition MPs had of a return to surplus before 2017-18 has now been abandoned. But “economic headwinds” also plagued former Labor treasurer Wayne Swan, and in Opposition Mr Hockey had little sympathy. Labor’s finance spokesman Tony Burke said the budget update shows the Treasurer is a “complete hypocrite”. 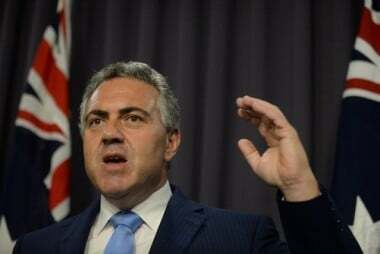 “If Peter Costello could deal with an Asian financial crisis, if Wayne Swan could deal with the Global Financial Crisis then surely Joe Hockey should be able to deal with commodity prices,” Mr Burke said. But Senator Cormann insisted the Abbott Government’s situation was “quite different”. “[Last year] Labor was saying we were deliberately taking a too pessimistic view to make the numbers look worse than what they were and of course as it turns out we weren’t aggressive enough in downgrading the revenue assumptions that we inherited from Labor,” he said. This post originbally appearred on ABC and has been republished here with full permission.